These arc earrings are eye-catching with hammered details. 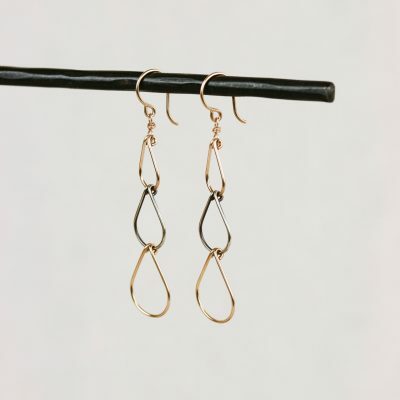 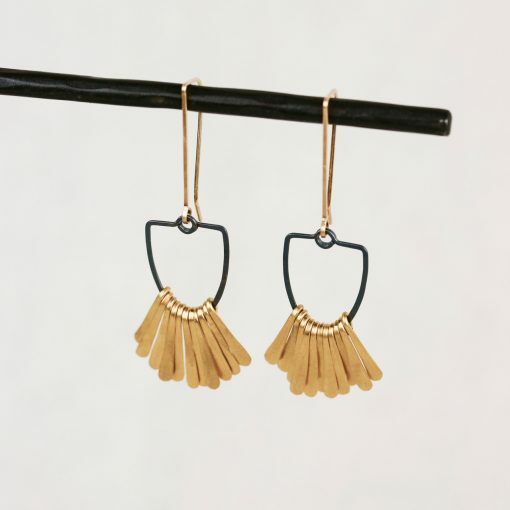 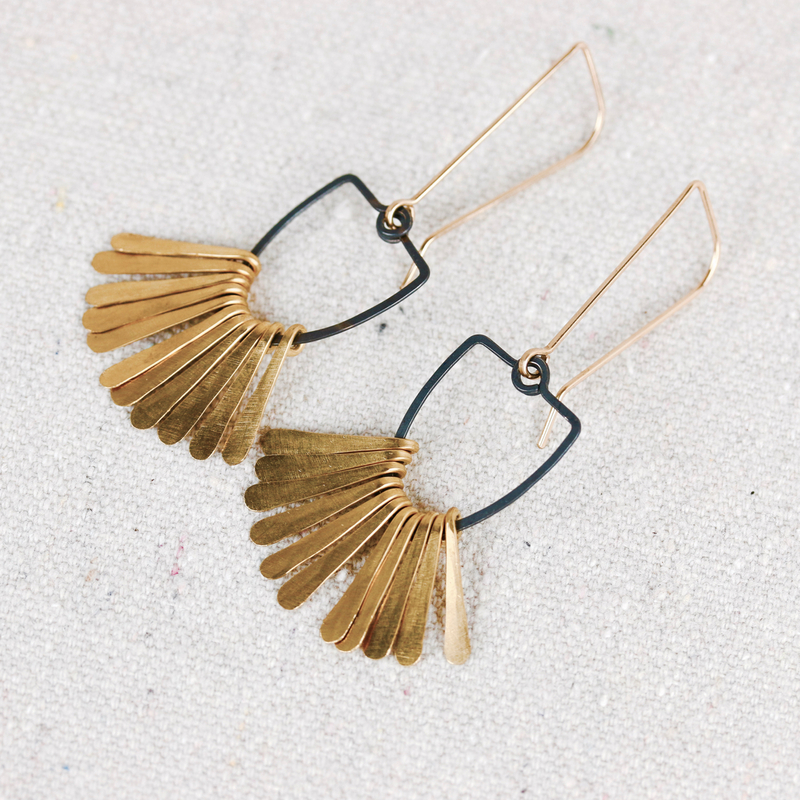 Bronze fringe moves freely on oxidized sterling silver frames. 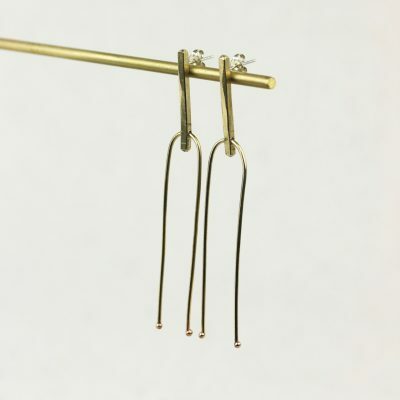 Angled 14k gold fill ear wires complete these beautiful earrings. 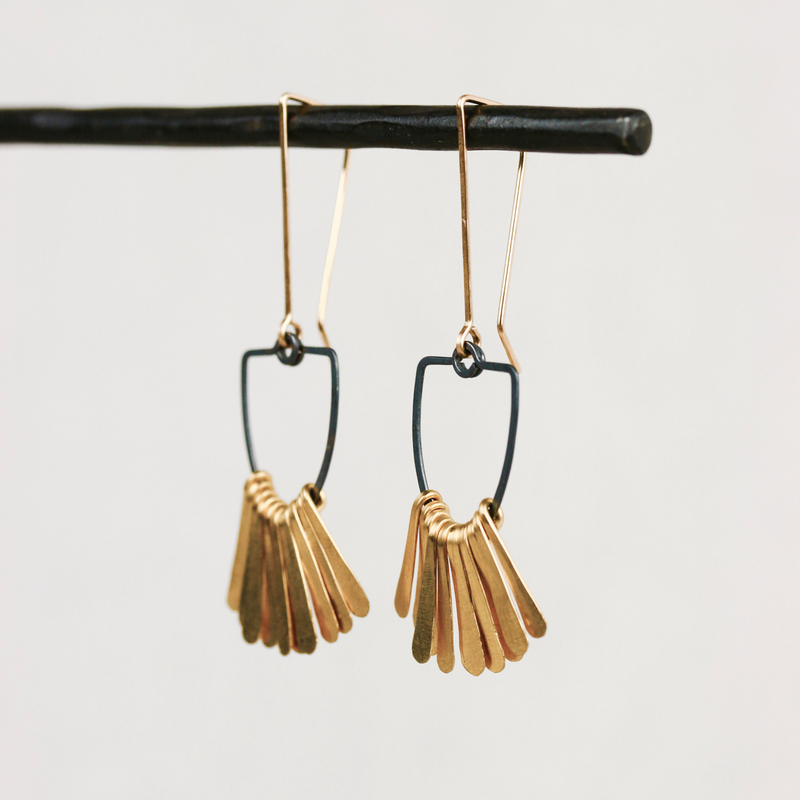 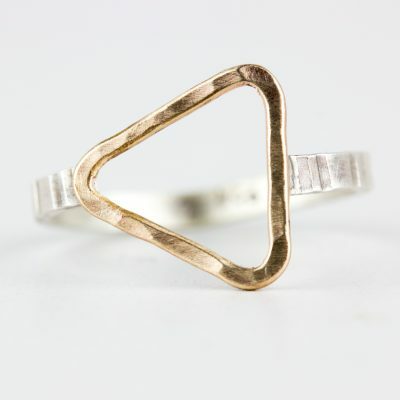 Made by New Refined Basics in Portland, OR.